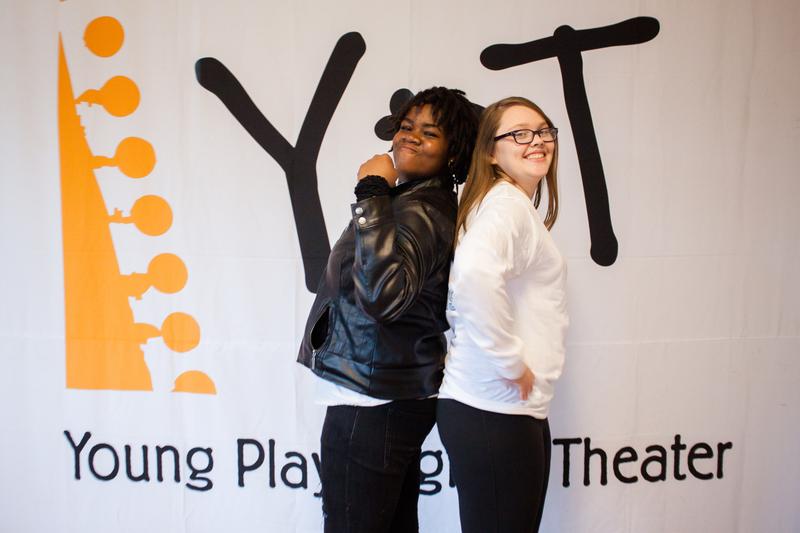 The young playwrights that YPT serves are all immensely gifted: smart and creative; funny and dramatic; profoundly invested in the world they create on the page. 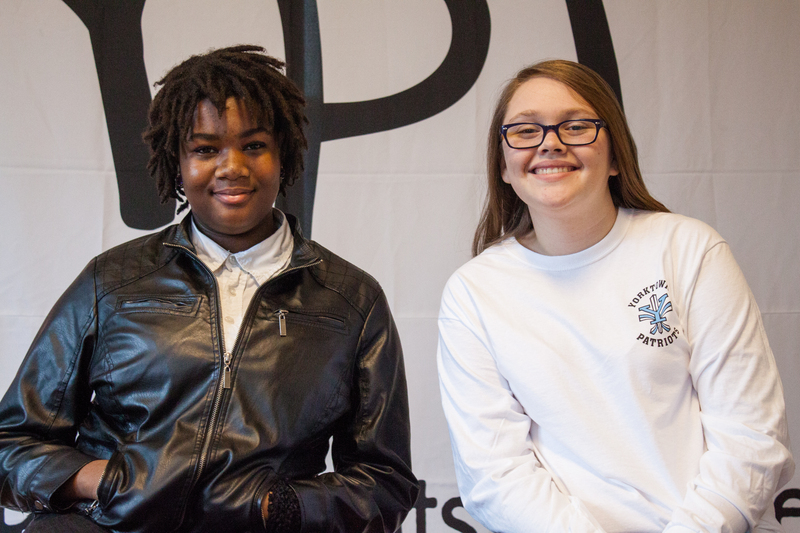 All go on to do great things, and many who complete our In-School Playwriting Program choose to stay involved with YPT, through our Young Playwrights’ Workshop, Student Advisory Council or other opportunities. Every so often, however, a playwright comes along who demonstrates a long-term commitment to the craft, whose artistic project exceeds the bounds of one performance and who has shown an interest in an ongoing mentorship with YPT staff. 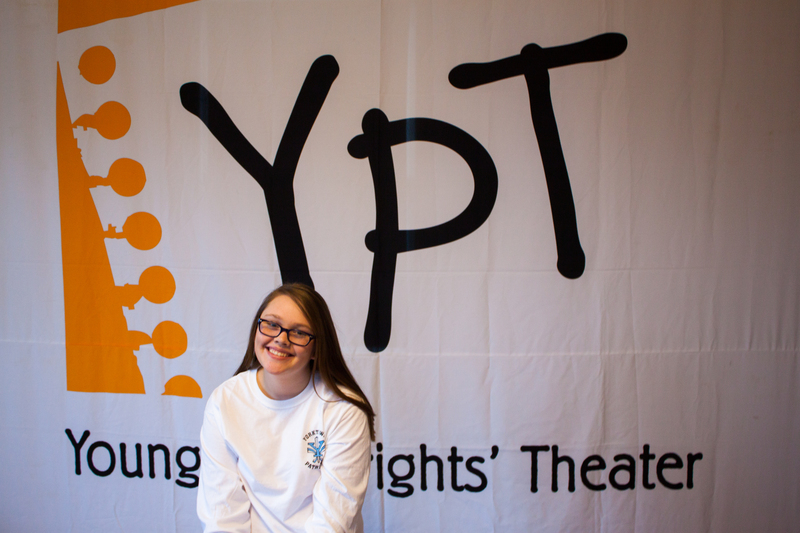 For those young playwrights, YPT is proud to announce the Young Artist Fellowship: a year-long mentorship designed to engage one teen writer in a play development process from start to finish. Presently in its first year, the Fellowship seeks to cultivate the Young Artist Fellow as an artist as well as a future member of the workforce, teaching accountability and commitment through one-on-one mentorship with a YPT staff member. YPT’s inaugural Young Artist Fellow, Dominique Butler, emerged from our In-School Program at Cardozo High School with an extraordinary piece of writing. Entitled Like Father, Like Son, Dominique’s play follows a young black man trying not to repeat the mistakes that landed his father in jail. 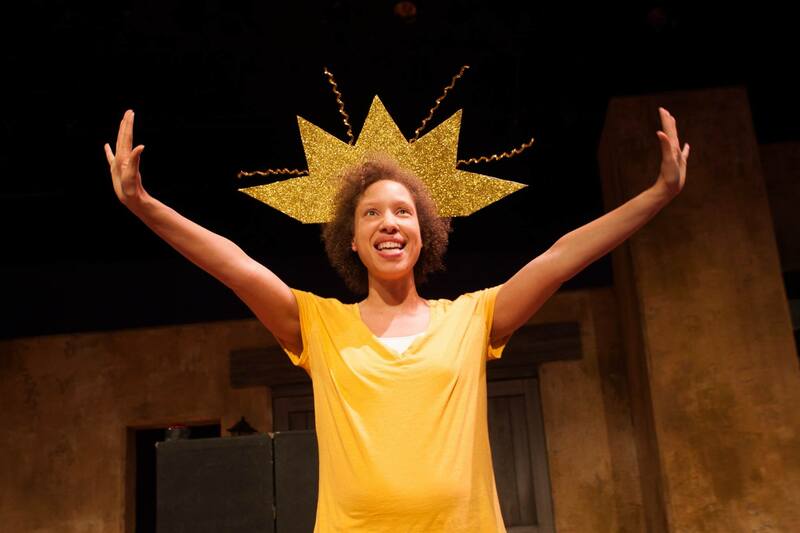 The play’s emotional honesty struck a chord with our New Play Festival readers, and Like Father, Like Son wound up closing our 2015 Festival to resounding applause. Dominique watches his words unfold onstage. Dominique’s message began to take shape at Curious Theatre Company’s Curious New Voices National Collective in Denver, which he attended over the summer. 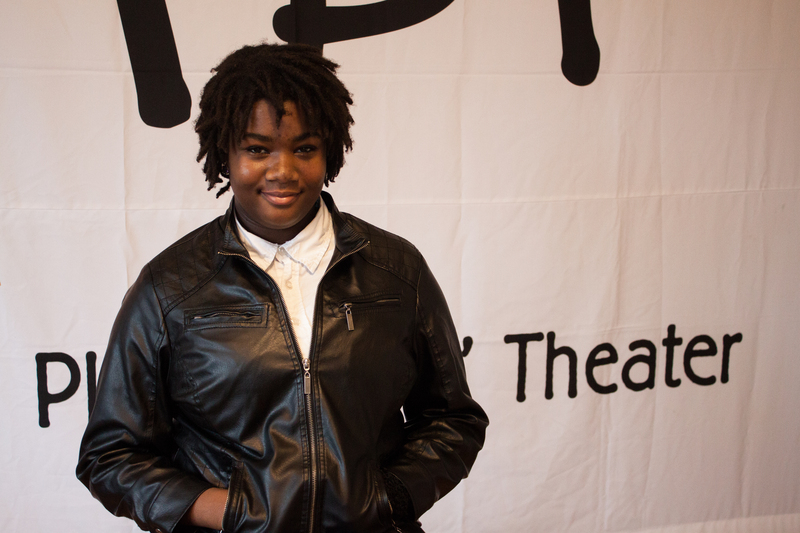 “Dominique is amazing,” writes Curious New Voices Program Director Dee Covington. “Quiet, diligent, taking it all in. …[The other playwrights] had no idea his piece, at once personal and political, was there to shake up the world.” As Like Father, Like Son had at the 2015 New Play Festival, Who’s Next? closed the Curious New Voices final performance to a standing ovation and watery eyes. “Some people were crying,” Dominique admits. Dominique and the other playwrights in the post-show talkback. Professional actors perform WHO’S NEXT? at Curious New Voices. Back in DC, Dominique strove to continue working on Who’s Next?. We at YPT had been considering launching a Young Artist Fellowship for some time, and realized that Dominique’s project provided us with the perfect opportunity to pilot the program. So, in October, 2015, we signed a contract with our first-ever Young Artist Fellow, and began meeting with him regularly to finish Who’s Next? and deepen its message. After a reading at Cardozo High School, Who’s Next? inspired our next production, Silence Is Violence: Who’s Next?, a professional staged reading and multidisciplinary artistic response to the #BlackLivesMatter movement. Join us on Monday, February 29, at 7pm at the Anacostia Playhouse for this powerful continuation of YPT’s Silence Is Violence series. Free and open to the public! Though Dominique’s time as YPT’s Young Artist Fellow will conclude in June, we are excited to continue the program next year and beyond with another talented young artist. Who will take up the mantle and shape his or her own project? What will the next Young Artist Fellowship hold? How will this one impact Dominique—and, through him, the world—in the next few years? We don’t know yet, but we can’t wait to find out! Be a #YPThero during YPT’s Hero Week! 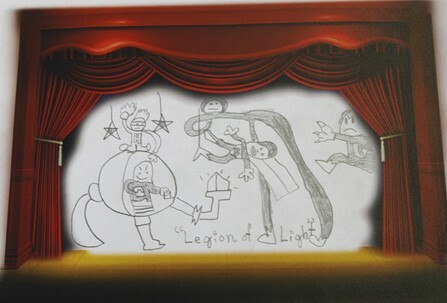 YPT’s young playwrights love to write about superheroes. 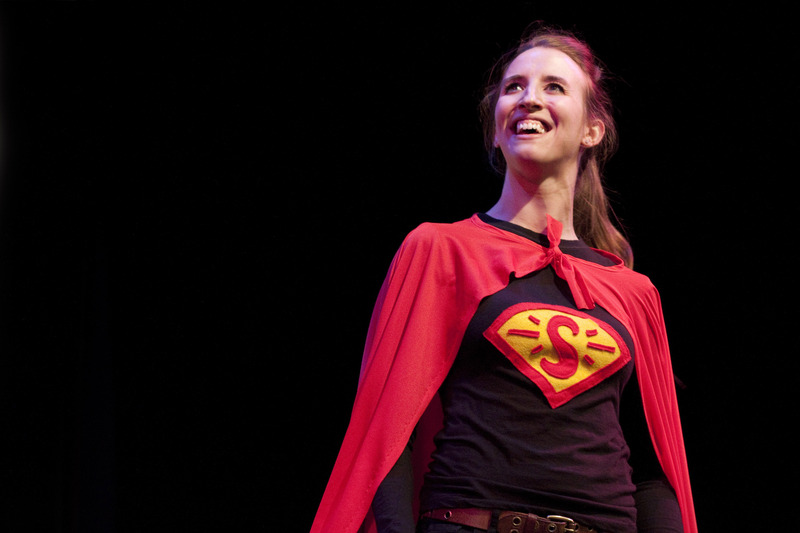 From Supergirl to Tornado Boy and Broccoli Man, some of the most memorable characters created by YPT students wear masks and capes. Why is that? We think it’s because creating superheroes allows young people to let their imaginations run wild, and gives them a vehicle to see themselves as someone who can change the world. Each of these characters represents a dream for a young person: a dream of making a difference, of being special – of being great. 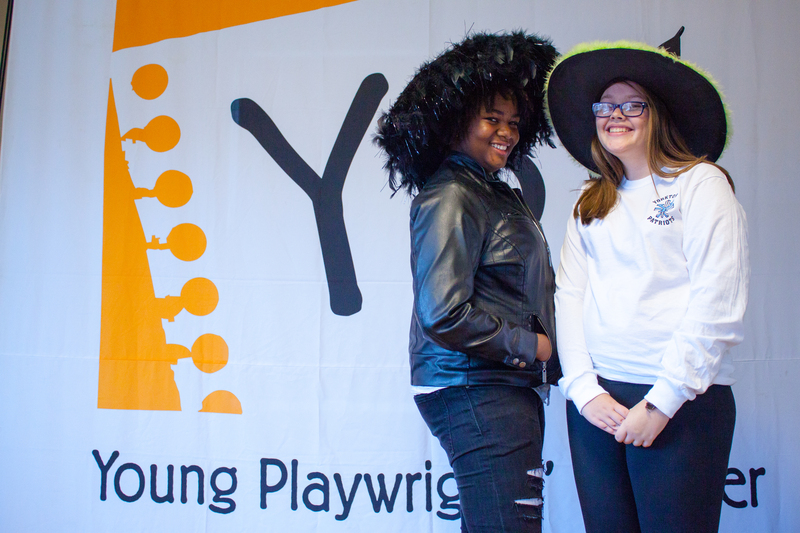 This holiday season, you can be a #YPThero, and show a young playwright how great they truly are. How? Let us tell you! Now through the end of 2015, we are seeking out those heroes who will stand up for the forces of arts education, to give of themselves so that young people can experience the joy of creation. Will you make that difference?? Just $10/month pays for one student to take the In-School Playwriting Program for an entire semester! Join YPT for Hero Week! Starting on Monday, November 16, YPT is holding our first-ever Hero Week, celebrating our young heroes and the people who paved the way for their greatness. Every day during Hero Week, we’ll honor heroes big and small with fun social media activities. 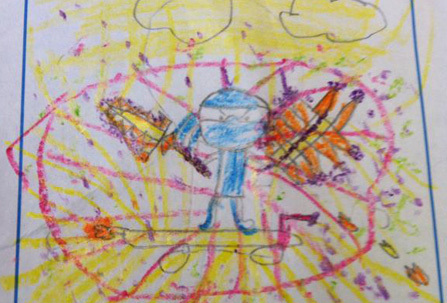 Post photos of yourself as a superhero, share stories of everyday heroes in your life and much, much more! Stay tuned for all the details on Hero Week, coming next week to this blog! Follow the whole campaign on Facebook, Twitter and Instagram @yptdc, using hashtag #YPThero! Thank you for helping DC’s young people become the heroes of their own stories! Posted on November 10, 2015 November 10, 2015 Author yptdcCategories Arts Education, Blog, Student Writing, TheaterTags Charity, dcps, Everyday Heroes, fundraising, Hero Week, Nonprofit, playwriting, Student Playwrights, students, superheroes, Young Playwrights' Theater, young voices1 Comment on Be a #YPThero during YPT’s Hero Week!